Caribou is a former silver-mining town located about twenty miles west of Boulder, near Nederland. You can drive directly to the site. One collapsed wooden cabin and two stone ruins remain of Caribou. Camping is permitted in parts of the Roosevelt National Forest near Caribou. Just look for preexisting campsites. 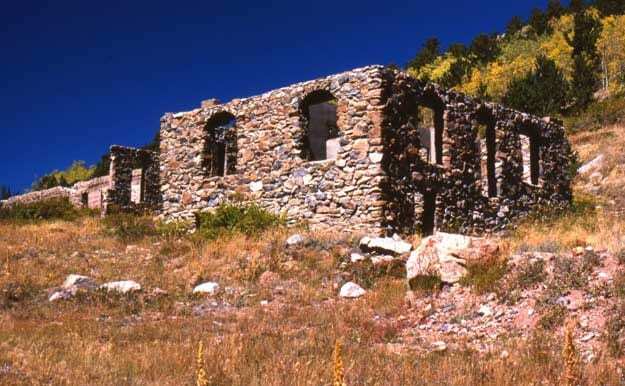 The town was established in the early 1870s for workers of Caribou silver mine. 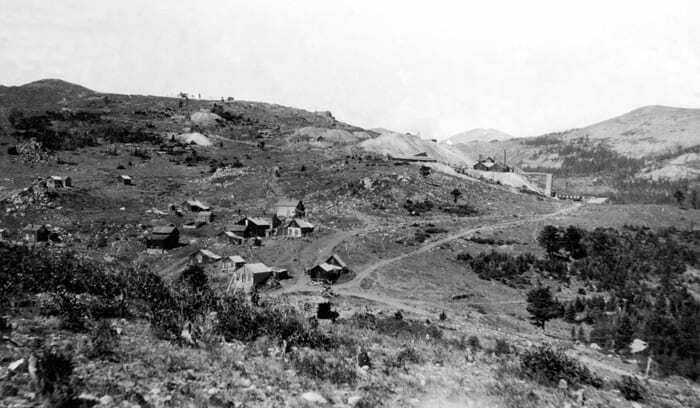 The silver mine did well and by 1875 at its peak, about 3,000 people lived in town. There was a church, three saloons, a brewery, and a town newspaper, the Caribou Post. 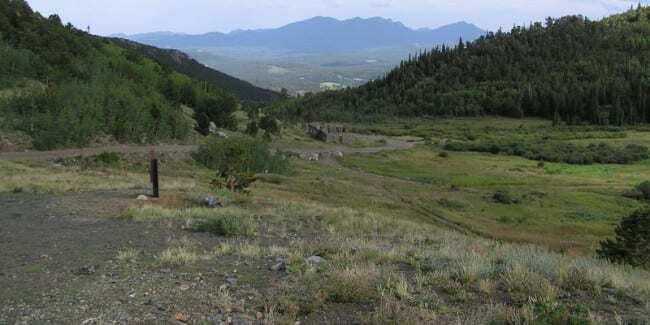 The Caribou silver mine was sold for $3 million to Dutch Investors in 1871. It was resold in 1876 to local entrepreneurs, Jerome Chaffee and David Moffat, who incorporated the mine and sold shares in New York. A fire took the town in 1879. By the 1920s, Caribou was home to fewer than 50 people. In 1973, a recent geology graduate, Tom Hendricks, bought the nearby Cross mine and later the Caribou mine in 1980. He began shipping silver concentrate in 1977. Old stone ruin in Caribou. Map: Boulder District – A large PDF showing motor vehicle use roads in the Roosevelt National Forest.